When living on a budget, splurging on ingredients for a one-time dish is a big no-no. The past few weeks I had large bags of green beans from my CSA but didn’t know what to do with them other than steaming and covering with Earth Balance. 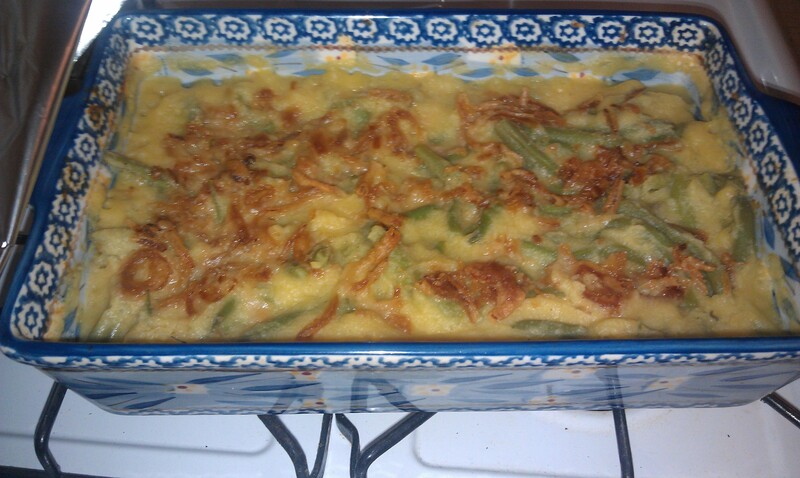 For green bean casserole, a creamy base is needed, usually in the form of a cream of mushroom soup. This is a hard ingredient to find for a vegan and sometimes a calorie-filled substitute is needed, usually in the form of a mushroom roux using flour. On Friday I experimented with what I had on hand — cauliflower and butternut squash. I steamed and pureed these ingredients in order to cover the green beans. It wouldn’t be green bean casserole without the fried onions, which amazingly are already vegan. A healthy alternative can be caramelized onions, though that is more time consuming. This green bean casserole might not taste exactly the same as a non-vegan version, but it is easy, healthy and chock-full of nutritious veggies. Add chopped cauliflower, cubed butternut squash and water to a pot. Bring to a boil. Add a lid and lower to a simmer, steaming for 10 minutes. In the meantime, wash and cut fresh green beans into small pieces, place in a pot with about 1 cup of water and bring to a boil. Add a lid, lower the temperature to a simmer and cook for 6 minutes. Drain green beans when they are done and place back into the pot. Place butternut squash, cauliflower and water into a blender. Add garlic powder, nutritional yeast, salt and pepper to the blender and puree. If the mixture seems too thick, add a few tablespoons of water to make sure it completely blends. You might need to scrape down the sides and repeat the pureeing. Add a bit of the puree to the bottom of a 9×13 dish. Add green beans and then coat with mixture. Stir until all the beans are coated. Spread the fried onions over the top, and cover with foil. Bake for 20 to 30 minutes at 425 degrees. Take out of oven, let it cool for 5 minutes and then enjoy. I usually embraces my Italian heritage, but this past week, I decided to embrace the Polish side. Sometimes I really miss the church bazaar food of my youth: haluski, potato pancakes and pierogies. And yum, this was the best decision I made all week. The set-up that I found most helpful included: a clean kitchen counter and doing the filling prep the day before. This made the rolling, cutting, scooping and pinching easy. This time of year brings in potatoes, onions and kale. I combined these three elements for my filling, and then used vegan best-selling cookbook author Isa Moskowitz’s recipe for the dough. On a cool, fall Sunday, spend some time with the kids in the kitchen and make these great dumplings that will last all week. Chop onions into half-moons, place in a medium pan with the oil, and heat until sizzling loud. Then lower the heat and cook for 30 to 40 minutes on low until the onions are a beautiful, caramel color. Place in a container in the fridge for the next day. Peel, cube and boil potatoes in a large pot of water. Meanwhile, shred the kale with your fingers, add to a small pan with the oil and saute for about 5 minutes. When potatoes are done, drain and place in a large bowl and add kale, milk, butter and spices. Whip with a hand mixer until smooth. Add more milk if the mixture seems stiff. 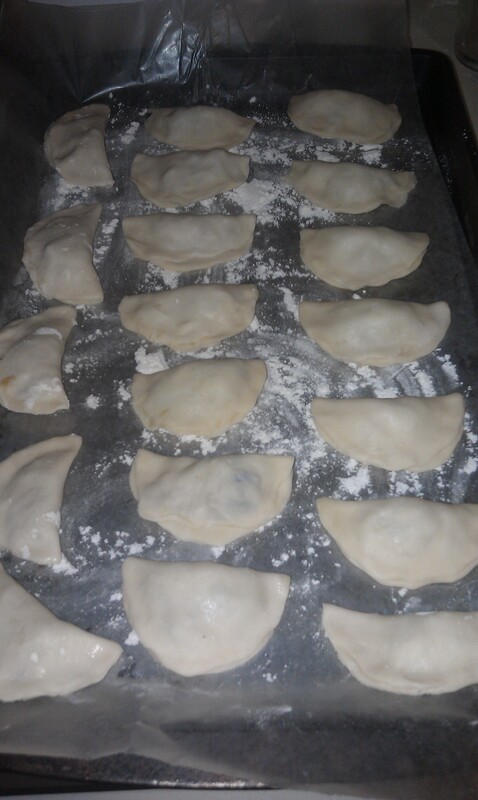 Stir in a little bit of the caramelized onions to the mixture, but reserve the rest for topping the pierogies. The next day or immediately after preparing the filling, follow the directions for the pierogi dough from Isa’s Post Punk Kitchen blog. If you are making the dough right after the filling, make sure the filling is cooled completely before adding to the dough circles. I did not boil these immediately but stored them in the fridge overnight. That was a mistake. Boil or saute in butter after all the pierogies are finished being assembled, and then cool and store, either in the fridge or freezer. To reheat, I would recommend sauteing instead of reboiling. Heat the onions and top the pierogies with them. What is your favorite dish that reminds you of childhood? Did you recreate it vegetarian or vegan? As a vegan, I sometimes can’t have some foods that bring nostalgia: patty melts, milk shakes, Cup of Noodles, porchetta, traditional haluski and pierogies. These are just a few, and whereas I CAN make a lot of them vegan, it sometimes isn’t the same. 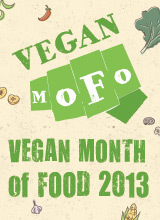 Doritos can be included in these a bit, one of those foods that you rarely find vegan anywhere. However, the brilliant writer at Whole New Mom created a Dorito substitute: Dorito flavored popcorn. It wasn’t exactly the same but it was close, and that will do. 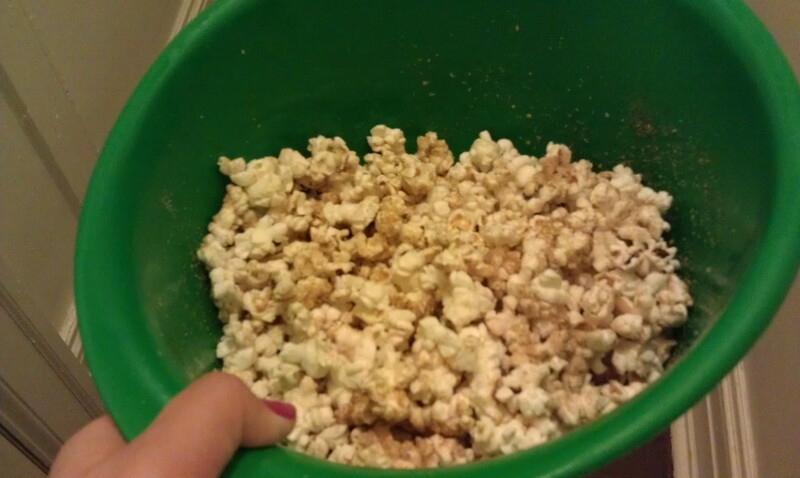 I am too afraid to pop popcorn on the stove, so instead I air-popped it in the microwave in a paper bag and then sprayed oil on it with my Pampered Chef oil mister. I misted then sprinkled a little then tossed, and repeat until it is all coated! It was yummy and hit the spot. Try it for Throwback Thursday! No wonder we are related: My cousin Shelby from Little Miss Type A made a healthy way to enjoy a PB&J — this time in smoothie form. I actually hated peanut butter as a child and only discovered the joys of it within the past three years. Now, I can’t get enough of it and that can be a problem because of the high calories and fats, despite it being good fat. I took Shelby’s recipe, subtracted the ground flax and used strawberries, PB2 powdered peanut butter, the banana and Silk Lite milk. For Jamieson’s, he added powdered unsweetened cocoa, but it really came out bitter. I would recommend a little bit of chocolate syrup, chocolate chips or cacao nips. The next day I tried it with a bit of my homemade strawberry jam and that hit the spot, too. According to its website, PB2 is “PB2 has the same consistency as full fat peanut butter with all of the natural roasted peanut flavor, but with nearly 85% less fat calories.” It is really awesome and tastes just the same, as far as in smoothies. I haven’t tried it elsewhere yet. I love potato chips, French fries, mashed potatoes … I have a potato addiction. I love eating them and can eat a ton before I realized that I made myself sick. 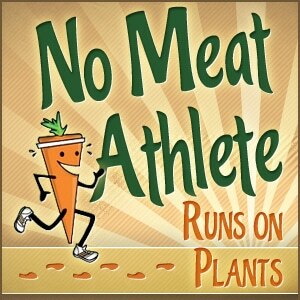 But I have been trying to be a good vegan and stick to a diet in order to lose weight. So no more chip bags, gone in a night. 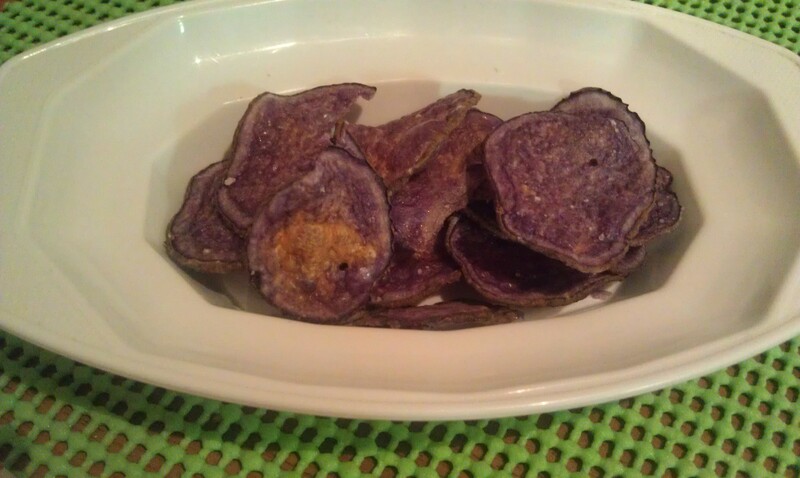 This is why I LOVE Susan from Fat Free Vegan and her amazing microwave potato chip recipe. 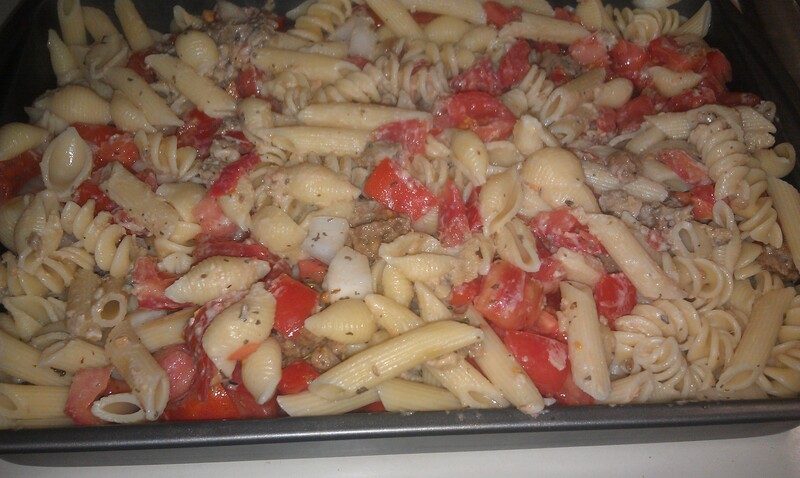 I am not going to post the recipe here, since I really didn’t modify it, so go to her blog for the recipe. The changes I made include using purple potatoes and I ran out of parchment paper, so I greased the glass dish with a little vegetable shortening. It worked out fine and only lost a few chips, mostly the very thin sliced ones. I tried the salt and vinegar variety, and whereas it didn’t have a strong taste, it was good. If you have a craving for chips, this is a great recipe to try for a fraction of the fat calories. I have been dying for a “real” vegan alfredo sauce. It is hard to have that, though, because the level of creaminess, texture and flavor can be hard to mimic at times. The Detoxinista had a clever idea: Use cauliflower as the base. This decreases the calories and gets in the veggies. I followed her recipe, except I used garlic powder instead of garlic cloves. I kept the teaspoon of oil in there. Now I realize why they add cauliflower to mashed potatoes to make that dish healthier. Batman, who hates cauliflower, enjoyed the dish. 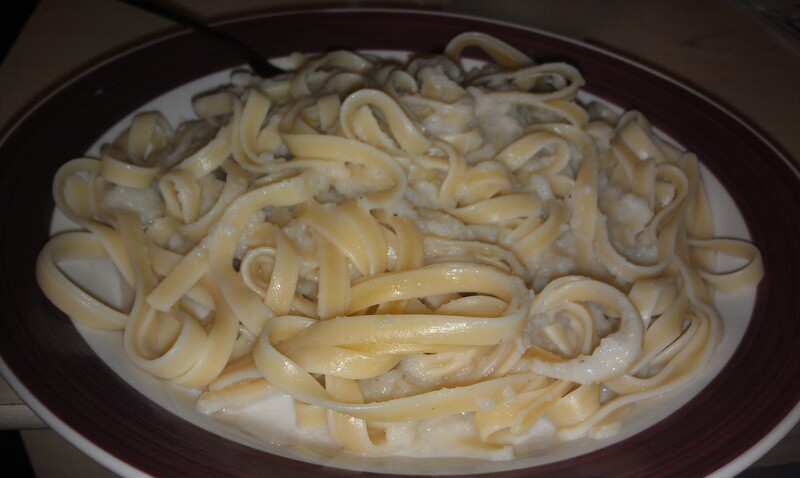 It isn’t really something I want to mimic again in order to get the perfect alfredo, but it is a great, quick recipe for a weeknight meal that is lower in calories. 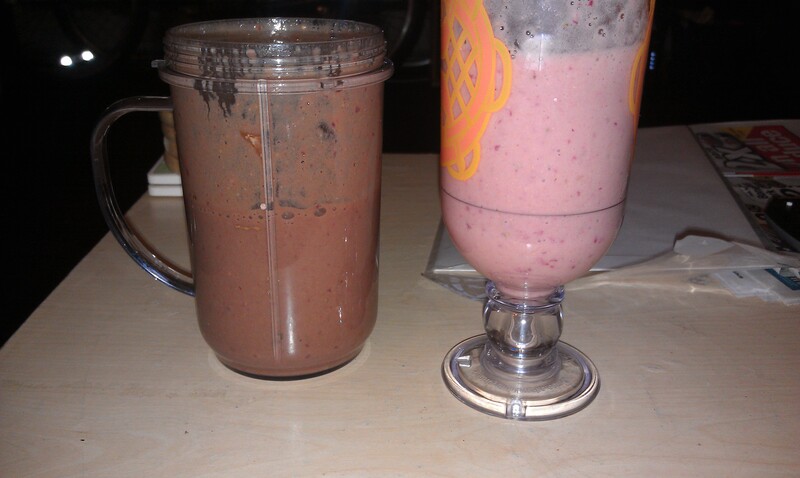 Try the recipe yourself and let me know what you think! As an indicator of the changing seasons, this past week has been crazy hot and humid, as if summer is saying, “Don’t let me go!” Because of this, I really don’t like to cook. See, I moved into my latest apartment last year this time, and while the temperatures were still warm then, it was nothing like it is now. This kitchen is far from my air conditioner, doesn’t have vents over the stove, and the windows are old and without screens unless I put one in myself each time I open them. There also is no storm door at the back, would have been lovely when a cool breeze happens to blow. My kitchen is not ideal for ho- weather cooking. When strawberries were at their peak, I love to use them before the season ends. This week, strawberries were on sale, and though that was weird because they are out of season in the Northeast, I gobbled them up before the transition to fall happens. Earlier in the summer, I found this tart recipe. However, I am not the queen of raw baking (when the food is not cooked hotter than 115-118 degrees F. In this case, it is the same as a no-bake dessert.) I like my recipes to be quick and easy, so I substituted the raw crust for a store-bought, graham-cracker crust. 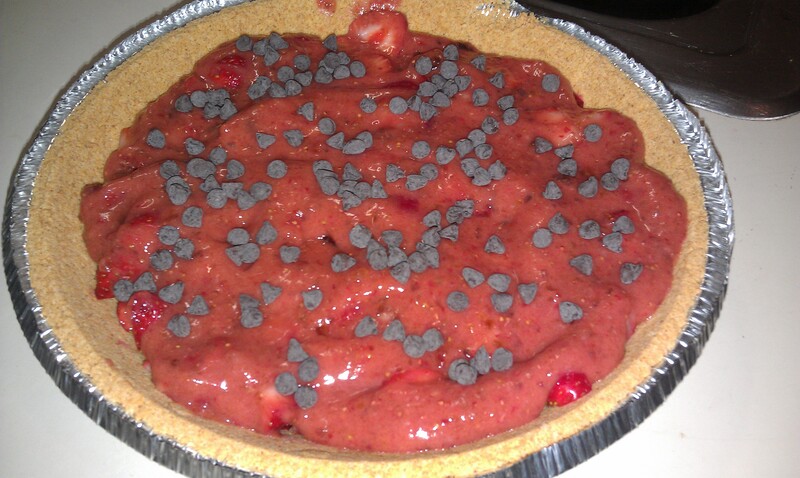 This meant I didn’t need as many strawberries in the bottom of the crust. I made up for this with some extra chocolate, which is a favorite addition for my fiance. If you like to bake raw desserts, let me know how it turned out! Whether raw or not-so-raw, this tart will fill you with that summer feeling. Place pitted dates in a bowl; cover with warm water. While waiting for the dates, remove tops and slice two cups of strawberries. Place strawberries in a single layer on the bottom of the graham-cracker-crust pan. When 10 minutes are up, place drained dates, a cup of whole strawberries with tops removed and 2 teaspoons of lemon juice in a food processor. Process until smooth. Pour the strawberry mixture on top of the strawberries and graham-cracker crust in a single layer. Sprinkle chocolate chips evenly over the top. You also can add more sliced strawberries in a design, if you desire. Let set in the fridge for one hour before serving. Hearty and juicy aren’t words most people would say about a vegan dish that tries to mimic meat. However, well-cooked mushrooms can play a convincing role in dishes such as Philly cheesesteaks. There have been times in the past where I asked my fiance if a piece of mushroom was actually meat, because the texture and structure of mushrooms can resemble chicken or even beef strips, especially when they are marinated and pressed between two slices of bread. I love using my crock pot as it frees up my evenings. All I need to do is cook it overnight or during the day, and I come home to a healthy dinner with minimal dishes. This dish is super easy, too, and dinner will be ready by the time you get home. Or make it overnight, put it in the fridge and reheat what you need. Pair it with a chilled salad or refreshing fruit while sitting by the pool. Cut up onion, peppers and mushrooms. Make sure to remove mushroom stems. Oil crock in slow cooker with a little olive oil on a paper towel, rubbing down the sides and bottom. Place vegetables in crock, pour water and break up or add bouillon on top. Add liquid smoke, salt and pepper. Stir. Cook on low for 6 to 8 hours. At about 20 minutes left, stir in cornstarch to make gravy, and mix well. Cook for the remaining 20 minutes. 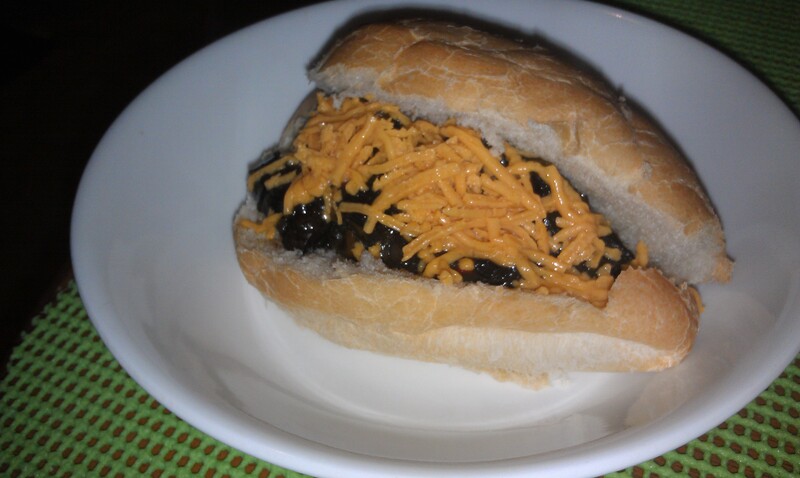 When ready to serve, spoon cheesesteak mixture onto each bun and top with vegan cheddar cheese. Who is Wonder Vegan? Is she that strong Amazonian who wants to spread peace & save our world, with her lasso of truth and killer muscles? Well, you'll have to figure that out on your own.